I look at this process as an art form. Others may not but I do. One of the many meanings of the word “redressing” is to set right; remedy or rectify. However you view it, most of us at some point as collectors participate in it…the redress. 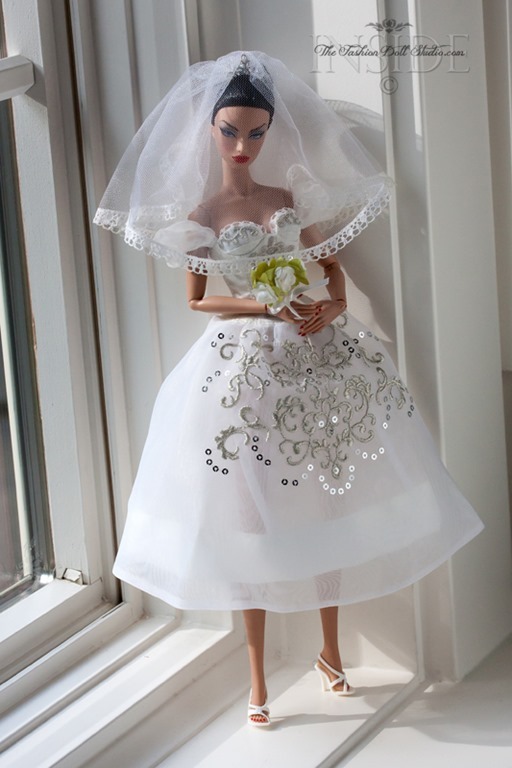 The sometimes exhaustive process of finding the perfect dress for the perfect doll gives me mental hives at times. 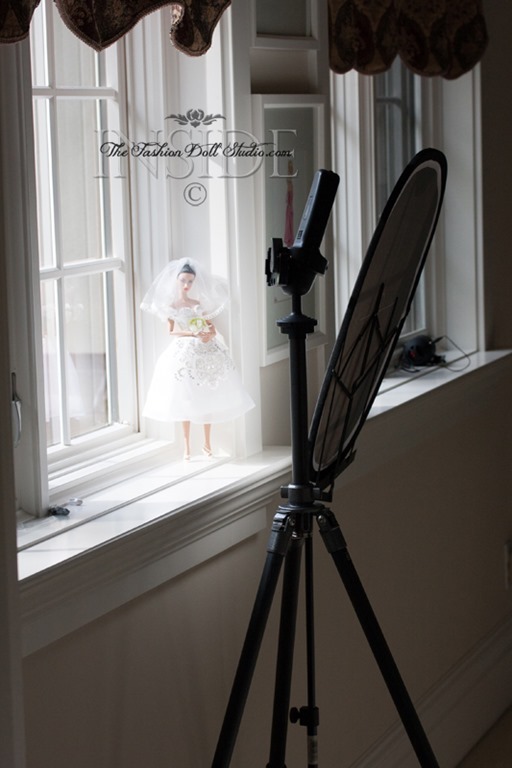 I have some definite preferences when it comes to redressing, displaying and photographing a doll. I may get a doll in and while I love the face, the dress does not speak to me…as in the case of my latest acquisition Principessa. It is not that I think the dress is bad. I just didn’t feel it on this doll. Many times the disappointment with a fashion is tempered when I see it displayed on another doll. 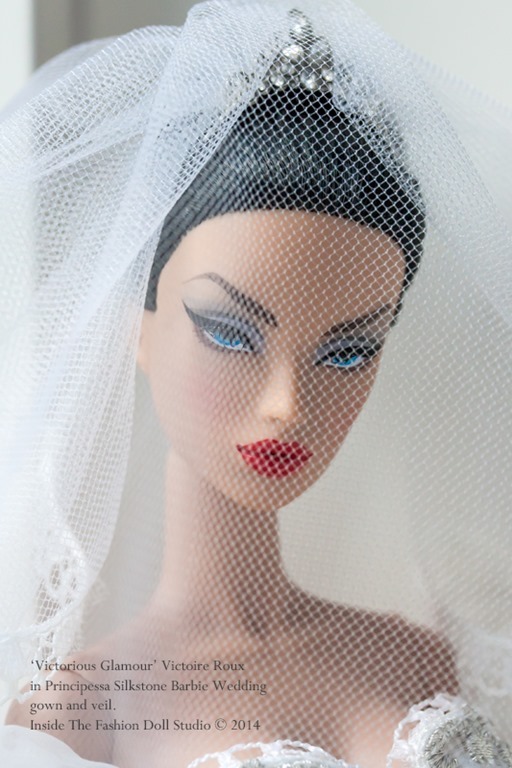 This happened to me just last night when I saw the Principessa wedding gown displayed, slightly altered, on a different doll. The dress had a whole new life for me. These next two photos are from the collector and photographer Julia Castro Fuentes whose photos I have followed for years. I love her eye for color, lighting and styling in her doll photography. She has an enviable collection and an even more enviable talent behind the lens. To see more of her fantastic work, feel free to visit her Flickr photostream at https://www.flickr.com/photos/castrojulia/. The two photos below are under Julia’s copyright and are being used on ITFDS with her permission. I realized when looking at Julia’s photos, that this dress had a whole lot of potential. I also realized…it looked WAY better on a brunette..in my opinion. 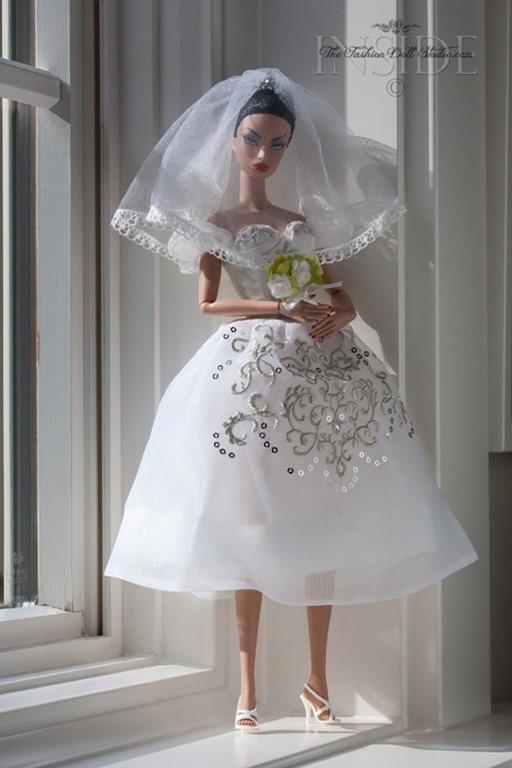 With that revelation in mind, I searched the doll room for a better model for this dress. And…the sunny window setup. Many times one of my kids holds the reflector for me ( a job that they crankily do for their dear old Mom) but, I also find an extra music stand works really well too. My trusty tripod is never far but many of the shots in this set were free handed…that lovely sunshine makes things easier with that. I used a Canon Canon EF-S 60mm f/2.8 Macro USM lens with these shots. This entry was posted on April 29, 2014 by raberry65. It was filed under Barbie, Silkstone and was tagged with Barbie, BFMC 2014, BFMC Alta Moda, doll collecting, Doll Photography, Dulcissima Silkstone Barbie, Inside the fashion doll studio, Integrity Toys, ITFDS, Julia Castro Fuentes Photography, Mattel, Principessa Silkstone Barbie, Rebecca Berry Photography, redressing dolls, redressing fashion dolls, Silkstone, Silkstone Barbie, Victorious Glamour Victoire Roux. Bravo!!!! That Victoire is on my wish list and she looks FAB on the wedding dress! Julia’s photo does bring up images of a Spanish royalty doesn’t it?! 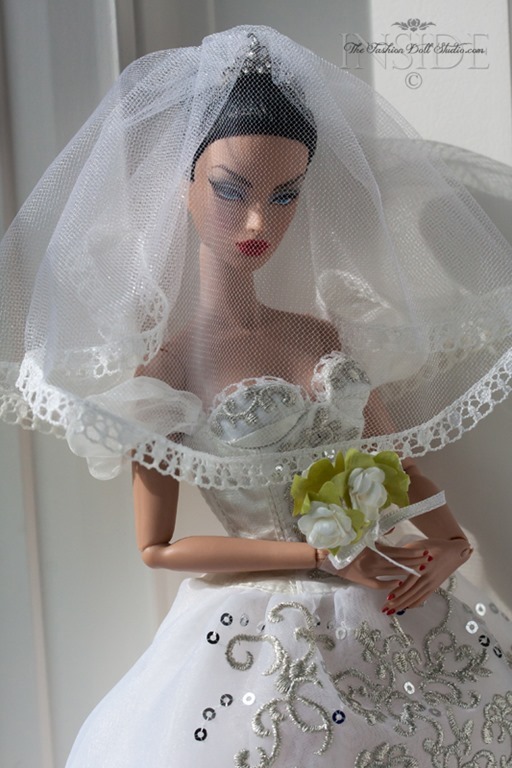 That wedding dress looks magnificent on Victoire!!!! Excellent redressing, Rebecca.